No matter what you thought of the Meghan Trainor-Kevin Kadish hit song from 2015 “All About That Bass”, the songwriters nailed the intent behind the song. It *is* all about that bass. A pumping bass guitar line is the engine behind any good song, a mood enhancer, a liberating force. Think of classic 80s songs like Duran Duran’s “Rio” or U2’s “With Or Without You”. The bass guitar definitely carries those songs all the way through. Or even more recent hits like Justin Timberlake’s ” Can’t Stop The Feeling” or Panic! At The Disco’s “Girls/Girls/Boys”. If you’re a beginning electric bass guitar player, you’re likely starting to play on a bass guitar with 4 strings. That’s the traditional model for electric bass players, having been popular for many years. The four strings allow bass players to play just about anything, and the thinner neck helps younger players wrap their fingers around the neck while playing. The original bass guitar was made with 4 strings, and is considered the most basic. The four bass strings are the low E, A , D and G strings. Nearly all bass guitar music can be played on a 4-string guitar, and because the neck is narrower than a 5 or 6 string guitar, it is easier to work your hands around. But in the 1980s, bass players started experimenting with 5- and 6-string basses. Adding 1-2 more strings let bass players find more range in their playing. The extra strings also allow bassists to tune an octave lower to achieve a darker heavier lower sound. That sound became popular in heavy metal, grunge and alt-metal music during the 1980s and 1990s. Some bass guitars went beyond the 5 and 6 strings. Cheap Trick’s bassist Tom Petersson was an early proponent of the 12 string bass guitar, introduced in 1978 by Hamer guitars. His playing effectively doubled the bottom driving sound of the song, making some of those early Cheap Trick songs sound thunderous in concert. Other bassists started becoming soloists when using extra strings. They were showing the world how to play more melodic bass, rather than just holding down the rhythm and root notes of a song. The addition of a 6th string for these players meant that they could play more comfortably on the high end of the bass. If you’re a beginning bass player, you’re likely find the early days of playing somewhat difficult. 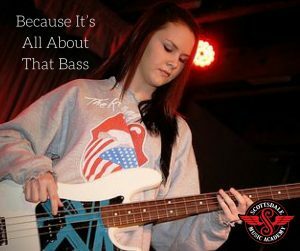 Our bass teachers at Scottsdale Music Academy can help you find the right amount of practice and hand strength to pull off playing this physical instrument. 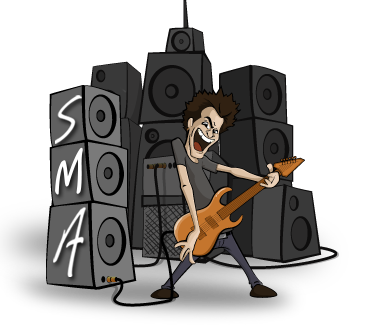 We are the leading music lessons and teaching academy in Scottsdale! Find us in Scottsdale, between Scottsdale Road and Hayden Road. 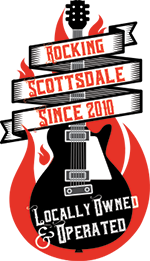 Call Scottsdale Music Academy on 602-751-3527 for a free lesson and intro tour.